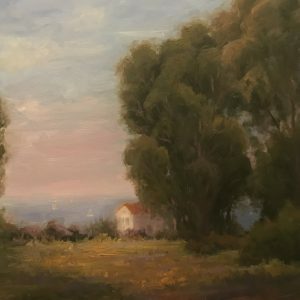 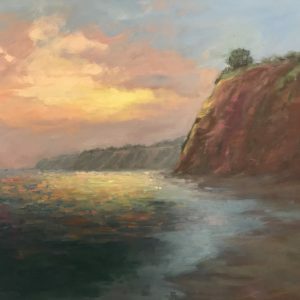 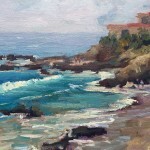 This seascape oil painting of Woods Cove in Laguna Beach was painted on location “alla prima” meaning all in one sitting. 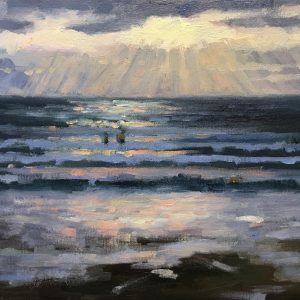 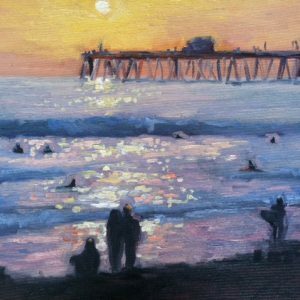 This painting would look beautiful in a coastal home, or in the home of those who appreciate the beauty of Laguna Beach. 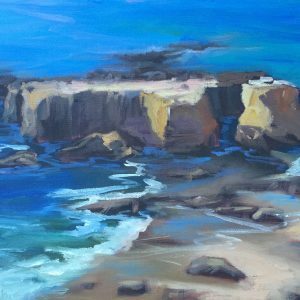 The painting is unframed and ships free of charge to anywhere in the continental U.S. International shipping available for an extra charge. 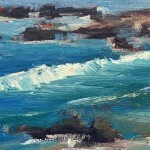 Category: Seascape. 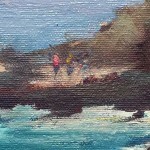 Tags: Beach, Laguna Beach, Ocean, Rocks, Seashore, Tide Pools, Woods Cove. 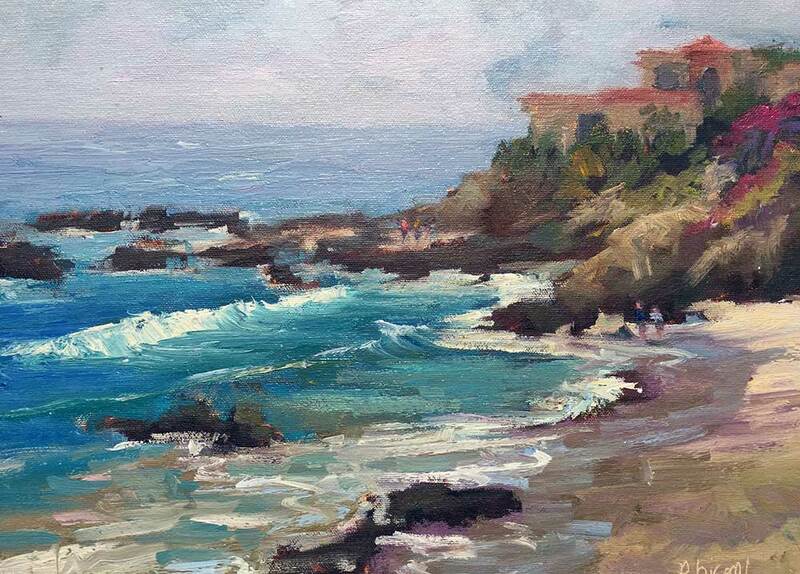 This painting of Woods Cove in Laguna Beach, CA captures the essences of a normal day on the beach. 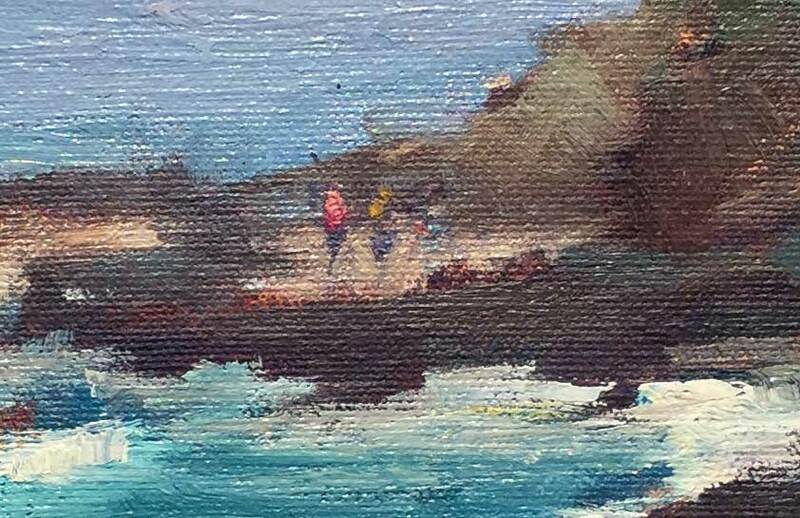 If you notice the detail of the figures among the rocks, most likely searching in the tide pools, you get a better picture of the size of the landscape. 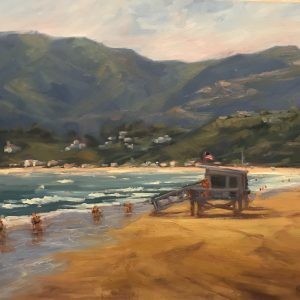 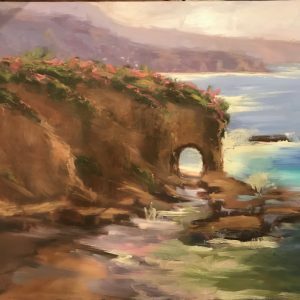 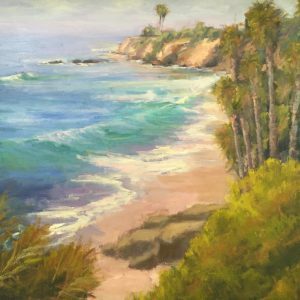 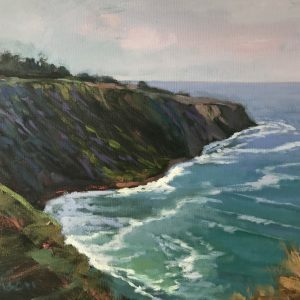 I love painting on location in Laguna Beach, and many of my Laguna Beach paintings are painted in plein air, meaning on location out in the open. 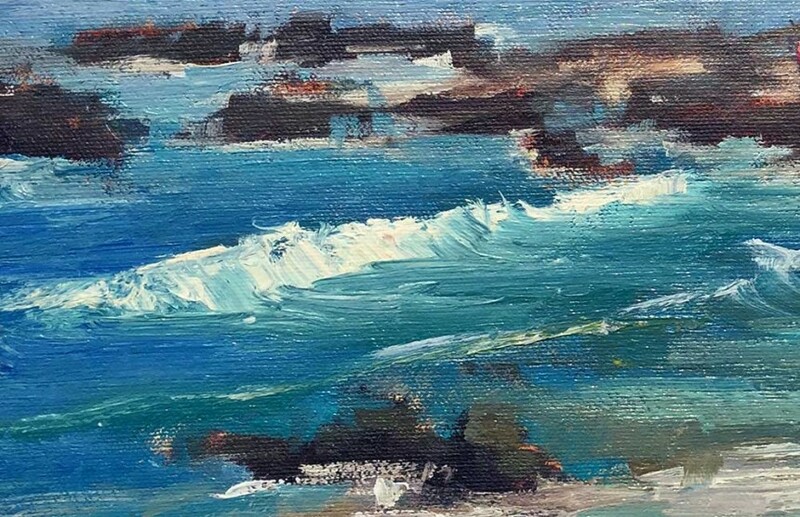 Water-base oil paint on archival canvas board.